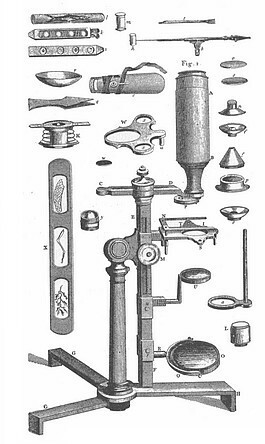 The microscope now known as the "Most Improved" model has its origin in the "Universal Compound Microscope" introduced by George Adams Jr. in the late 18th century and described in his 1787 publication, Essays on the Microscope. By the end of the century, the copyright to Adams' books and designs were purchased by the firm W. & S. Jones of London. 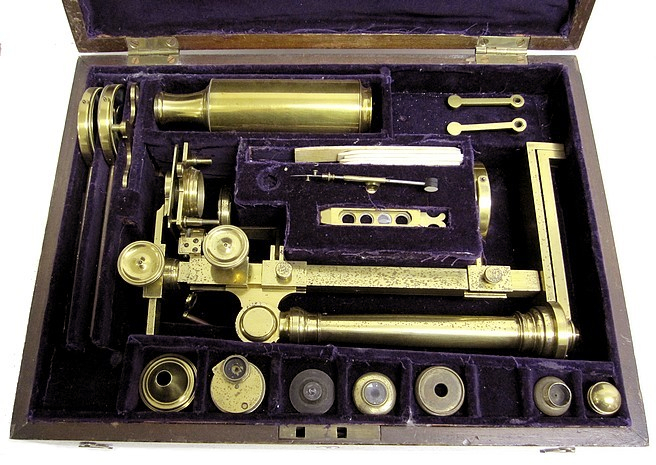 They began, in 1798, the production of a microscope with a similar design, which they called the "Jones Most Improved Microscope". A folding tripod base from which rises a pillar terminating in a compass joint for inclination characterizes this design. Attached to the other end of the joint is a bar that holds the tube, stage, mirror, and sometimes a simple lens to serve as a condenser. The focusing mechanism consists of a rack embedded in the bar and pinion attached to the stage; this arrangement moves the stage in and out of focus. The mirror can also be positioned on the bar by sliding it up and down. 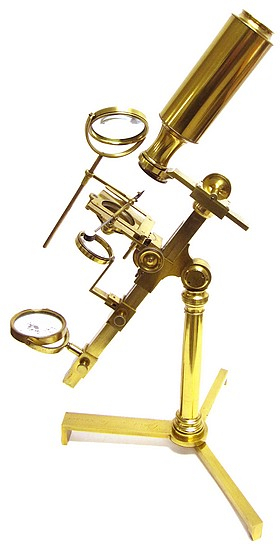 The optics in this model usually consist of a double eye-lens and a field lens located within the body of the tube; the objectives are non-achromatic. 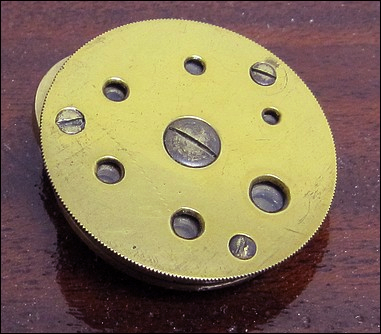 This design became very popular and was produced by many other English opticians during the first part of the 19th century. 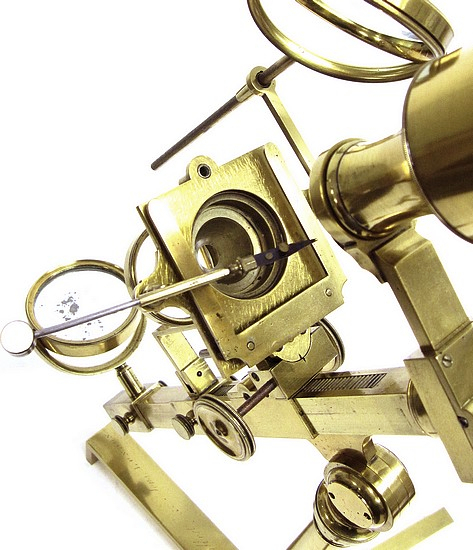 This particular example by Gilbert & Sons has a few modifications of the original design among which are the rack and pinion movement of the bar holding the tube and a rudimentary mechanical stage that moves the stage in an arc. Quite unusual is the fact that the case is fitted for two identical stage bulls-eye condensers and two mounting arms for the condensers. 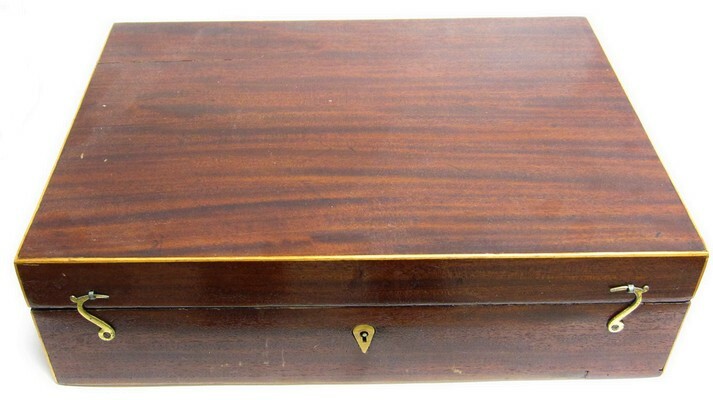 The firm used the name Gilbert & Sons during the years 1806-1818. Prior to that, the firm was called Gilbert & Wright.